Of stone we are made, as warriors we are shaped. House Eldurin has been through rough times. In earlier times house Eldurin was a house of great warriors, providing the biggest part of the army in former Terenia. Throughout the Terenian Kingdom everybody knew the Eldurins and praised them for their strategic and single combat skills. People from all over the land came to Elduir Stronghold, the stronghold of house Eldurin, to learn the art of warfare and single combat. When the kingdom of Zygethia laid claim on the Terenian lands, every house in Terenia fought like men possessed to defend their kingdom. Ezekiel Eldurin led most of the battles against Zygethia. Ezekiel managed to win a few battles, but the overwhelming odds soon proved to be to much for Terenia, and finally they were conquered and became part of Zygethia. With Zygethia came a new military house, house Golzkiin. 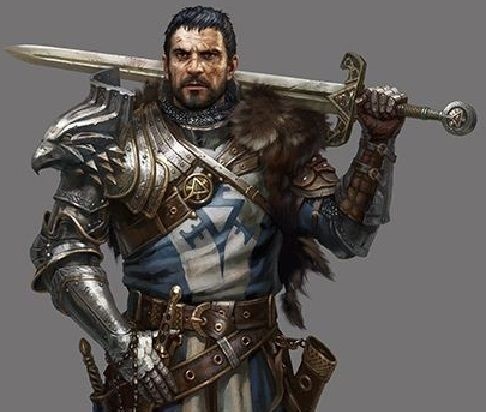 The king of Zygethia made sure that house Eldurin would never be able to attempt to fight back, stripped Ezekiel from his titles of count and baron and appointed house Golzkiin as main military house. House Eldurin was always closely watched and wasn’t allowed to create any military force. Soon the Eldurins were forgotten as warriors, their pride and honour driven into the ground. Every member of house Eldurin only yearned for that former glory, teaching their children everything they knew about warfare. They trained in closed quarters, so they would learn the art of battle, and keep the traditions of house Eldurin remembered. Times changed when Zygethia fell at the hands of internal conflict and the Romarian Empire arose. 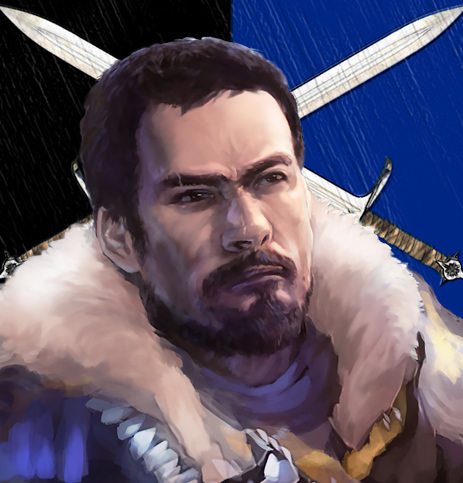 For a little while Aegas Eldurin, head of house Eldurin in these troubled times, was planning to take advantage from this conflicts and make Terenia independant again. But when he learned that the Romarian Empire would be a very strong enemy, he knew he wouldn’t have the numbers to put up even a small fight. The Romarian Empire still kept house Golzkiin as their main military house and so house Eldurin didn’t stand any chance to rise back to former glory. Soon Aegas Eldurin died and left what was left of the lands to his oldest son, Thoras. Thoras was different, ever since he learned of the history of his family he couldn’t let it go. Thoras was determined to become the best strategist, the best warrior, and the best leader he could be. Together with his younger brother, Erling, he studied and trained everyday. They made their father proud when he saw them working so hard together to restore the honour of their house. Thoras didn’t believe he would ever overthrow the Romarian Emperor, Arthos Romaria, instead he was determined to prove himself in battle and make a name for his house again. The men living on the Eldurin lands never believed the name of house Eldurin would be ever restored. Instead they took to breeding the best warhorses and trisons any warrior could only hope for. They loved their animals, yet the blood of warriors was coursing through their veins, they could never deny it and would always be ready to fight. Soon Arthos Romaria would leave the lands to go on a journey. No one ever knew what was the true reason for this journey. Arthos appointed Demiqas Liacan as the new emperor, and took Pelathius Golzkiin, head of house Golzkiin, with him on his journey. Demiqas Liacan had never forgotten the old ways of Terenia, as he also descended from an ancient Terenian family. When he disbanded the Romarian Empire he gave the lands back their original name, Terenia. Terenia wasn’t nearly as big as it ever was and there was a lot of work to be done. Liacan was the one who remembered the former glory of house Eldurin, and to him there was only man who could lead his military; The head of House Eldurin, Thoras Eldurin. King Liacan gave Thoras the titles of baron and count back and appointed him as Grand Marshall. Every single inhabitant of house Eldurin was ecstatic when they heard of the promotion. Finally there was a chance that house Eldurin’s honour could be restored. The home of house Eldurin is Elduir Stronghold located in the county of Talborn in Terenia. The intention is to build ( if possible) a sparring arena in the stronghold, where soldiers and other warriors can be trained and spar amongst themselves. House Eldurin is mostly military oriented. In Elduir Stronghold the soldiers of The Terenian Legion will be trained and educated. The aim here is to not only train The Terenian Legion, but everyone else who wishes some form of military training. In addition house Eldurin focusses on breeding different animals that can be used for either transportation or as battle pets, if they will be implemented. The animals will be for own use and for selling. These exceptional warriors are tasked with training the new recruits or any other who would come to Elduir Stronghold to be taught how to fight and strategize. They will train to be as skilled as possible in the art of combat and are willing to teach others how to do the same. With all this training and fighting going on, accidents are bound to happen. We need a doctor to patch those tough guys up. Also the maester will know how to brew the best cocktails and potions to keep the soldiers healthy and strong. The master blacksmith is responsible for the creation and upkeep of the weapons and armour. The armour of these soldiers will undoubtedly get banged up more than a few times and we need a skilled blacksmith to create the finest armour and weapons. Will oversee the breeding of different useful animals. Be it thoroughbreds, trisons or just plain donkeys. We cannot live without our mounts and we need a good stable full of them. Also, if they will be implemented, the house breed will oversee the breeding of warhounds or any other battle companions. This makes the house all very battle oriented, but we need more than soldiers and mounts/pets alone. Anyone else, who would feel like he would make a good addition and wants to feel safe while doing his job, is welcome to join. The aim here is to create a mature group of players who will treat each other with respect. Want to know more about the County of Talborn go HERE! I wish to thank you for your time, and I hope to speak to you soon! 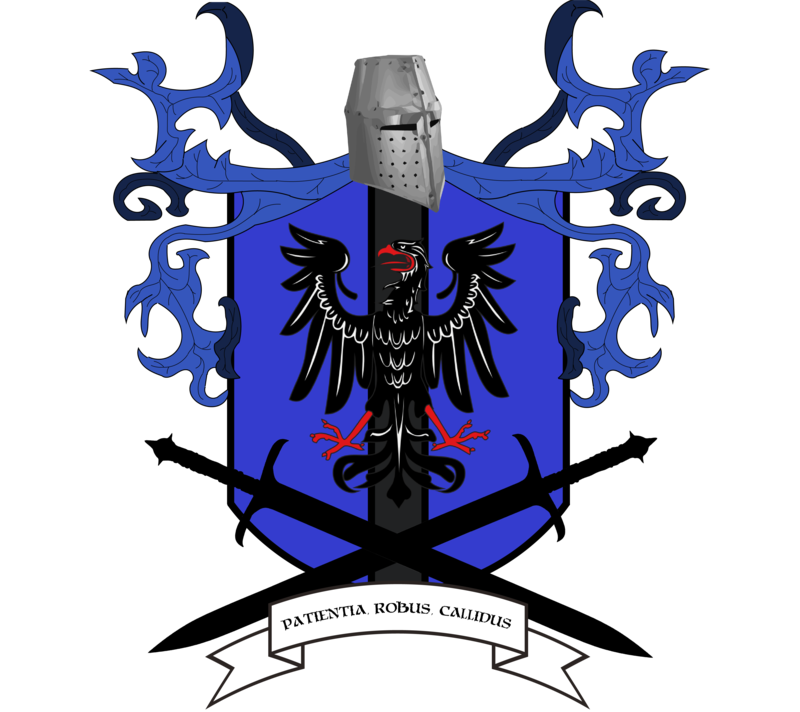 Also special thanks to SirSalsa for making my coat of arms. If anyone wants one as well go here and ask Sirsalsa! Figured I gave this house a little bump. Interested? Feel free to join the discord. I'll do my best to answer all your questions. Terenia has joined the Demalion Empire, and so has house Eldurin as part of Terenia. House Eldurin is still looking for members. If interested just hop on over on Discord and we'll have a chat. For those interested, just join the discord, most roles are still available. If you are looking for a place to call home, where your other goals, next to the job you are fulfilling for the barony, are respected, than I am your man. I want everyone to enjoy the game at his own pace. Doing what he can do, and having fun while doing it. If you're building a badass arena within your stronghold, you ought to open it up to the general public for purposes of entertainment. In any case, salutations to House Eldurin and thanks for their commitment to the growth and prosperity of our realm! We should do some sparring sessions together when we finally get the chance. That badass arena will get there, so sparring and some events will certainly be a possibility. I can't wait to see it all come alive. You'll have the best seat there is to offer ofcourse. Table service with a show? You can count me in! House Eldurin has been our great ally since way back when they used to call you Golzkiin, glad that you're still going strong!